"Viento Creek and Viento State Park, Oregon"
Click image to enlarge Sign, Viento State Park, Oregon. Image taken February 8, 2016. There are two thoughts as to the name "Viento". One theory says the name "Viento" came from the first two letters of the names of three railroad men, Villard, Endicott, and Tolman, and it is just co-incident that the name "Viento" is Spanish for "windy", the second theory for the name "Viento". "Villard, Endicott, and Tolman: "Viento is a fitting name for this windswept location, but the name is more the result of a remarkable coincidence than design. Viento is actually named for railroad tycoon Henry Villard, capitalist William Endicott, and a railroad contractor named Tolman." HOWEVER --- the April 14, 1882 "Willamette Farmer" newspaper (courtesy Historic Oregon Newspapers Archives, University of Oregon Libraries, 2016) mentions the name Viento is Spanish, meaning "windy". Viento Creek heads from Viento Ridge and enters the Columbia River at River Mile (RM) 161. The lower section of Viento Creek flows through Viento State Park. 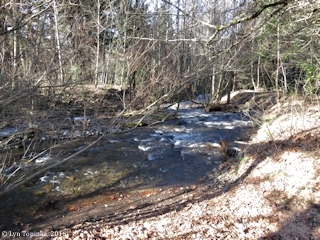 Upstream is Perham Creek and Mitchell Creek and Mitchell Point. Downstream is Starvation Creek and Starvation Creek State Park. Further downstream is Shellrock Mountain. 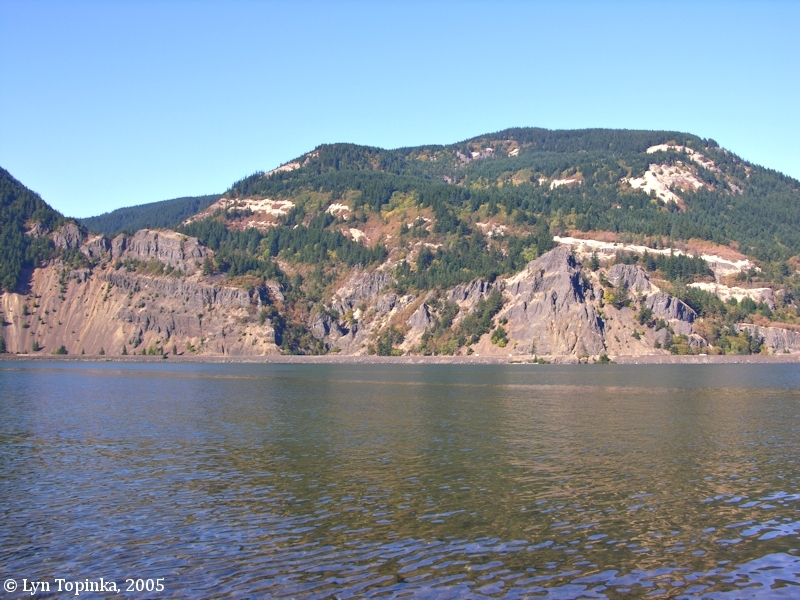 Across the Columbia River is Dog Mountain, the Dog Creek drainage, Cook and Cook Hill, and Drano Lake and the Little White Salmon River. 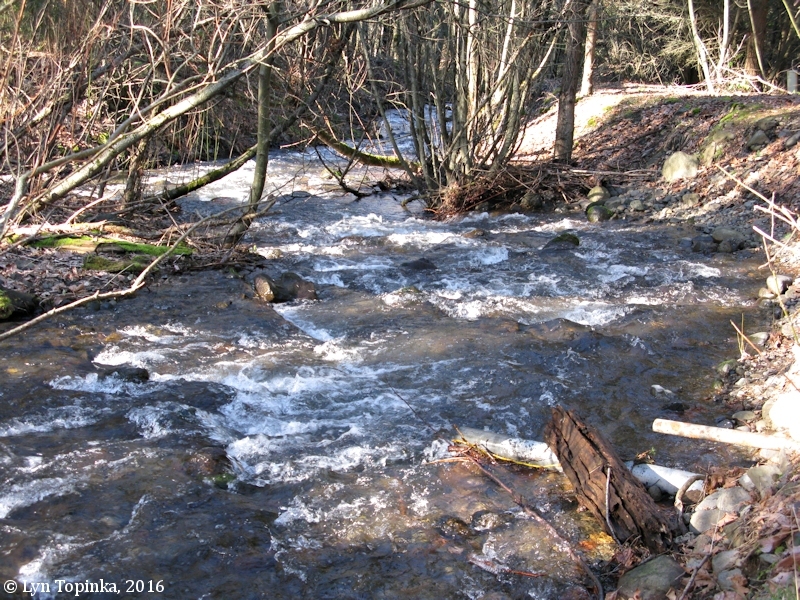 "Viento Creek is a salmon recovery stream. Please, do not disturb the structure of the stream. Please, do not let children or pets play in the stream. Please, do not put any debris in the stream. Please, observe the no-fishing rules of a salmon recovery stream. 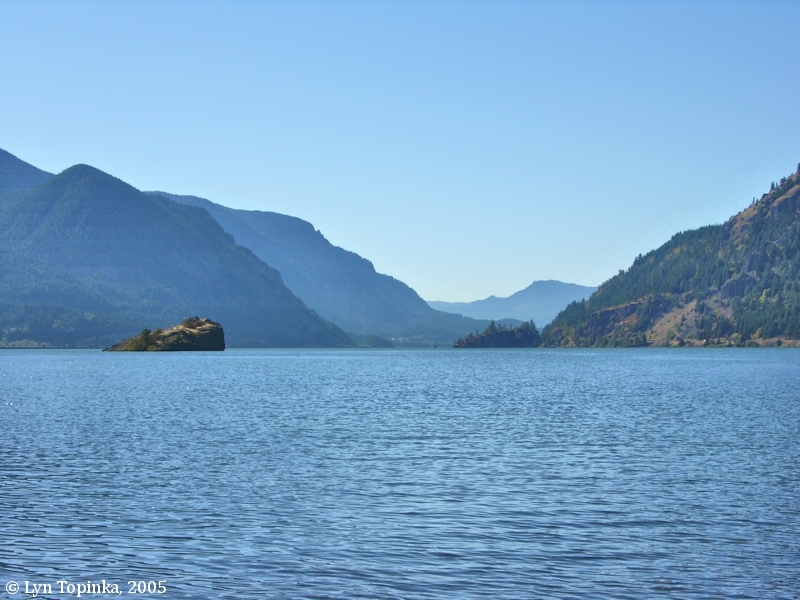 According to the Columbia River Basin Fish and Wildlife Program's website (2014), there are nineteen small rivers and creeks entering the Columbia River between the Bonneville Dam and Hood River, with one of them being the three-mile-long Viento Creek. 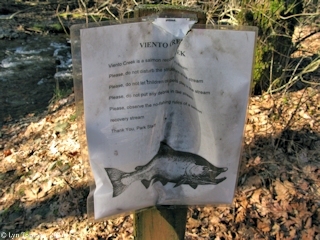 A falls at Viento Creek Mile 0.5 is a barrier to salmon with the creek becoming impassable at Mile 0.8 to 1.0. Viento Creek's mouth is an ipounded pond formed by railroad fill. Click image to enlarge Viento Creek looking downstream, Historic Columbia River Highway, Oregon. Image taken February 8, 2016. Click image to enlarge Viento Creek "Salmon Stream", Historic Columbia River Highway, Oregon. 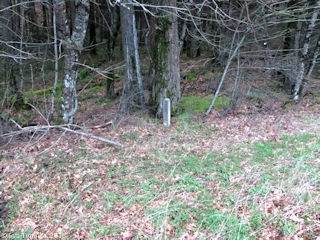 Image taken February 8, 2016. "Viento means wind in Spanish, but travel was anything but a breeze for the early emigrants venturing through the Columbia River Gorge. Perilous rapids, rocks, and currents threatened those who traveled by water. Steep cliffs, thick forests, and muddy quagmires made land travel just as challenging. With thousands of settlers trekking to Oregon, impassable segments of the Columbia River provided golden opportunities for entrepreneurs. The region's first railroads followed portage trails around rapids at the Cascades and The Dalels. The first of these opened on the Washington side of the river in 1851, and within six years another operated on the Oregon side. Although these railways were little more than flat-cars drawn along wooden rails by mules, they held promise. 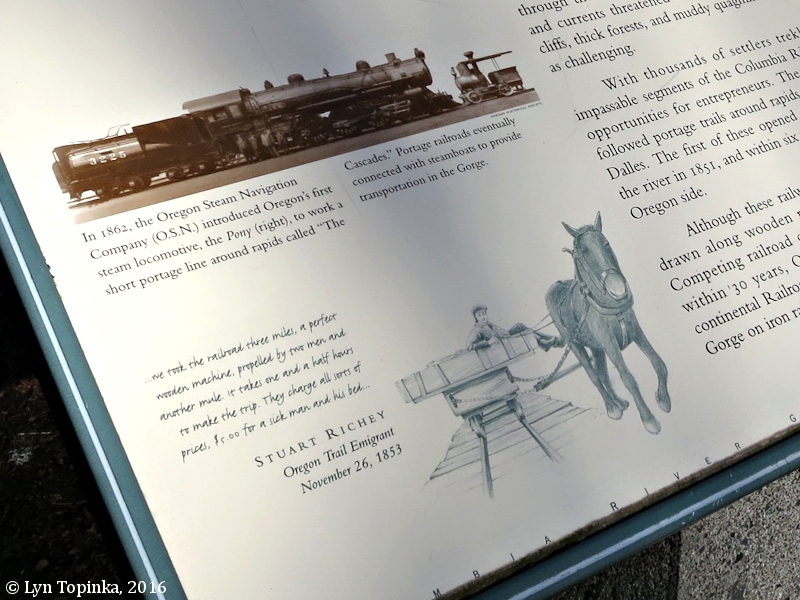 Competing railroad owners eventually joined forces, and within 30 years, Oregon's link to the Northern Trans-continental Railroad was forged throught he Columbia River Gorge on iron rails." "Viento is a fitting name for this windswept location, but the name is more the result of a remarkable coincidence than design. Viento is actually named for railroad tycoon Henry Villard, capitalist William Endicott, and a railroad contractor named Tolman." 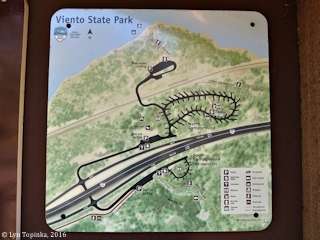 Source: Information Sign, Viento State Park, visited February 8, 2016. Click image to enlarge Viento "From TRAILS to RAILS" sign, Historic Columbia River Highway, Oregon. Image taken February 8, 2016. Click image to enlarge Detail, Viento "From TRAILS to RAILS" sign, Historic Columbia River Highway, Oregon. Image taken February 8, 2016. The Viento post office operated from January 1896 to May 1918. 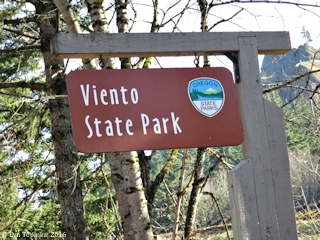 Viento State Park lies on the Oregon side of the Columbia River at River Mile (RM) 161, one mile upstream of Starvation Creek State Park and two miles downstream of Mitchell Point. "The land was acquired between 1925 and 1967 by purchase from private owners. 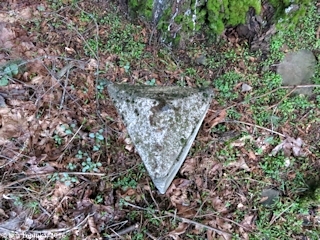 The purchase of the first tract was financed by Pacific Telephone and Telegraph Company to compensate for damage to trees when the company cleared its line rights-of-way in Oregon park areas. 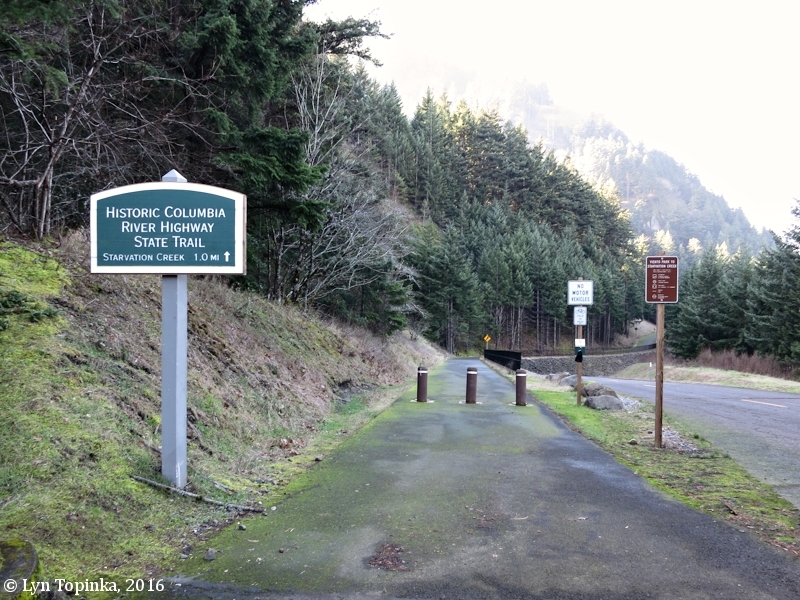 The park was established to provide a shaded picnic and rest area for travelers on the old Columbia River Highway. 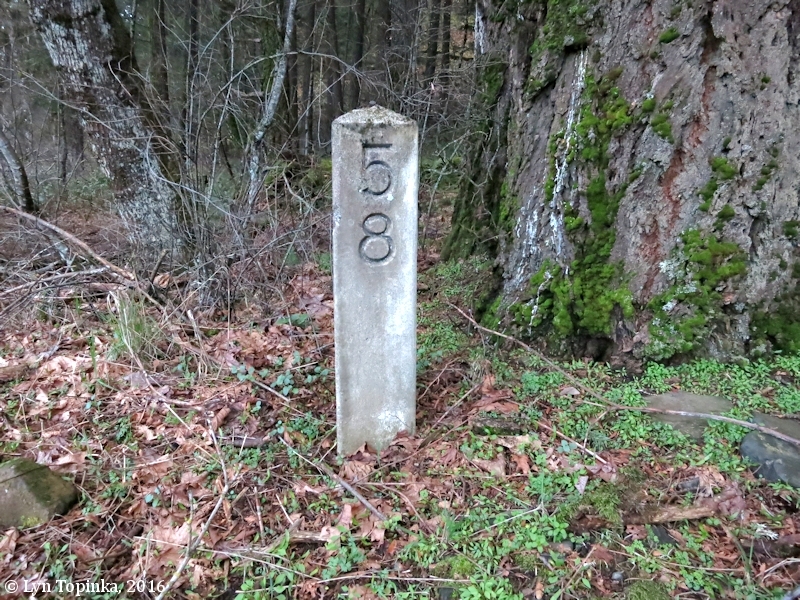 Initial development was carried out by the Civilian Conservation Corps in the 1930s. Overnight camping facilities were added in the 1950s. 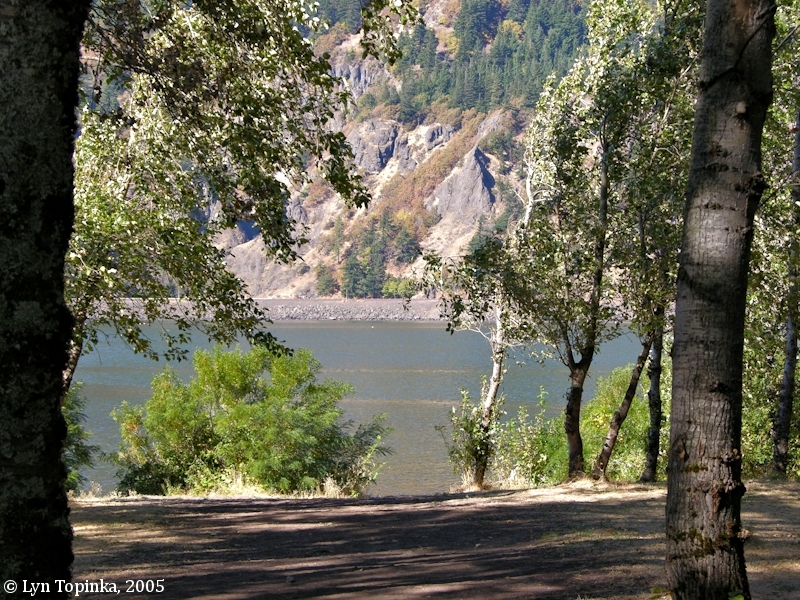 Although viento is the Spanish word for wind, and trees in the area show the shaping effects of strong winds in the Columbia Gorge, the park name was taken from a nearby station on the railroad -- the title of which supposedly was composed of the first letters of surnames of the railroad builder Henry Villard, capitalist William Endicott, and a contractor named Tolman. These men were active in railroad building along the Columbia River in the 1870s and 1880s. 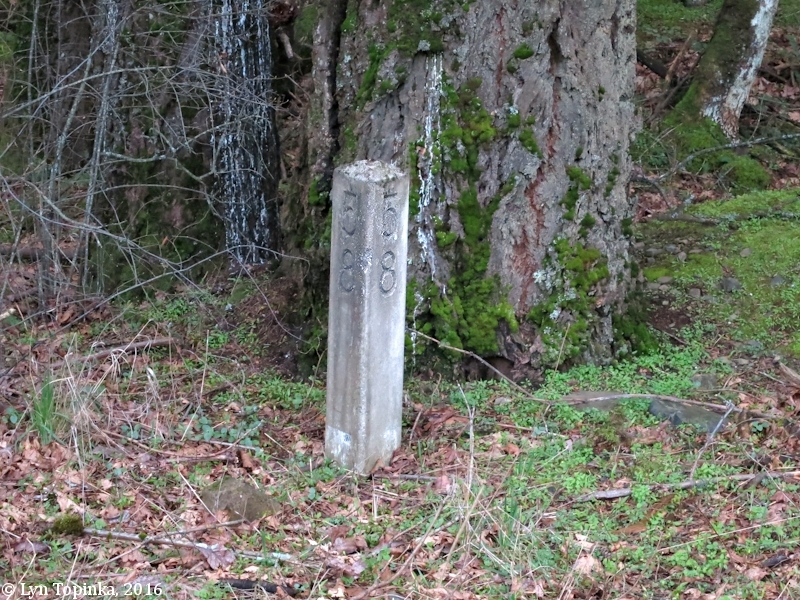 Viento was a station on the Oregon-Washington Railway and Navigation Company line (now Union Pacific)." Source: Oregon State Parks and Recreation website, 2016. 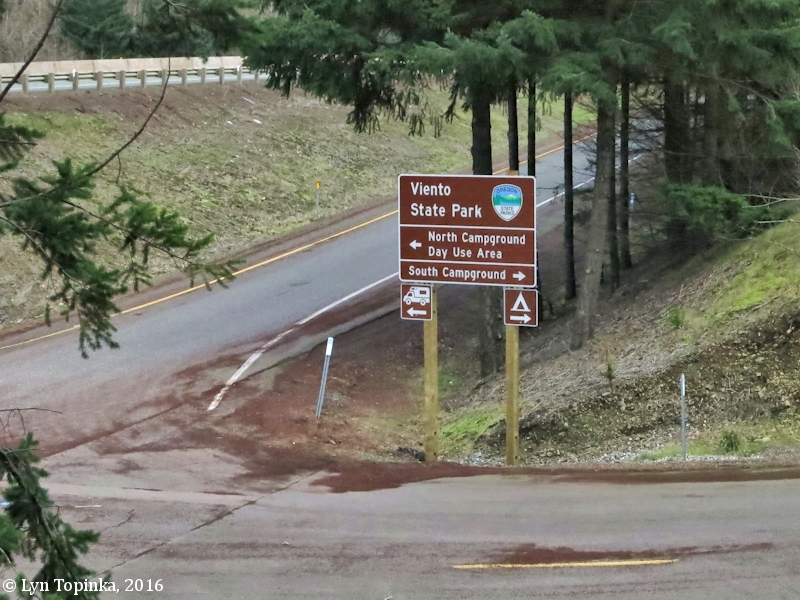 Click image to enlarge Sign, Viento State Park, Oregon. Image taken February 24, 2016. 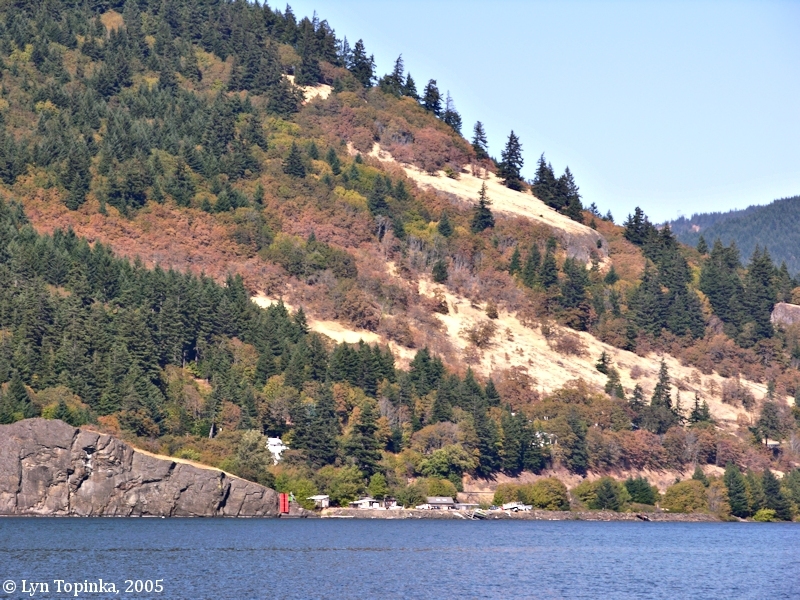 Click image to enlarge Map, Viento State Park, Oregon. Image taken February 8, 2016. 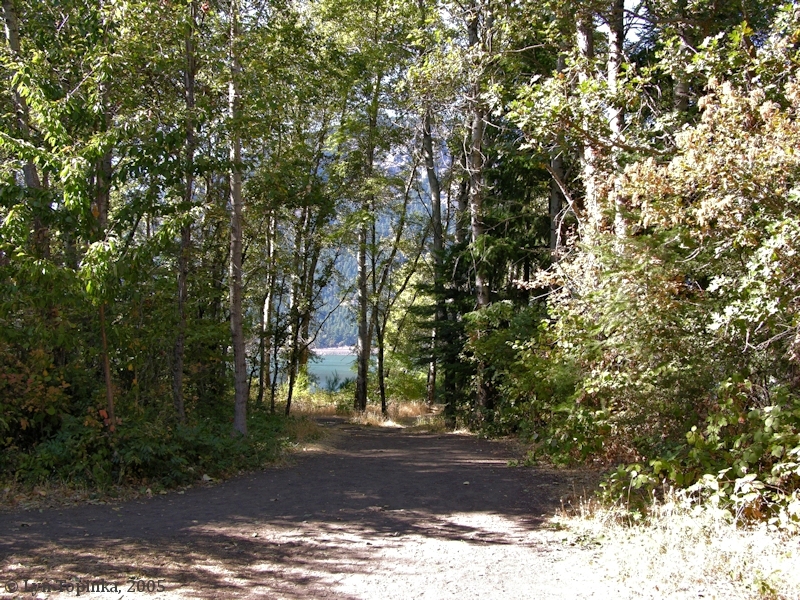 Click image to enlarge Trail to the Columbia River, Viento State Park, Oregon. Image taken September 25, 2005. 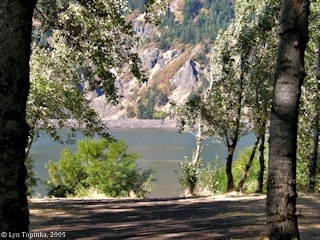 Click image to enlarge Columbia River from Viento State Park, Oregon. Image taken September 25, 2005. Click image to enlarge Penny Postcard: Happy Dell Auto Camp, Viento, Oregon, ca.1935. Penny Postcard, Postmarked 1935, "Happy Dell Auto Camp - Viento, Oregon - Columbia River Highway." Sawyer image. Card 14-909. Card is postmarked September 8, 1935. In the private collection of Lyn Topinka. 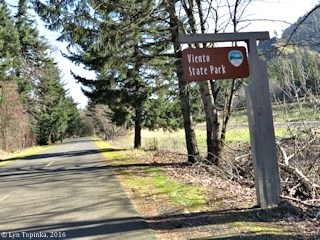 The Starvation Creek to Viento Creek segment of the Historic Columbia River Highway State Trail is one mile long and connects Starvation Creek State Park with Viento State Park. 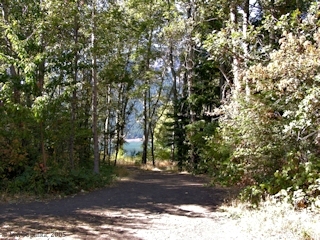 Click image to enlarge HCRH State Trail, Viento State Park to Starvation Creek State Park, Oregon. Image taken February 8, 2016. 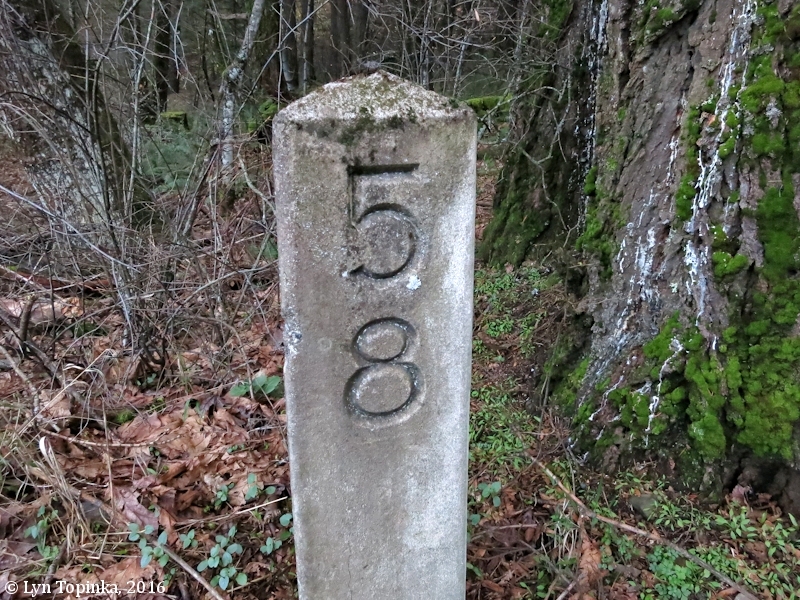 The last original milepost in the Gorge for the Historic Columbia River Highway is Milepost 58 located at Viento. 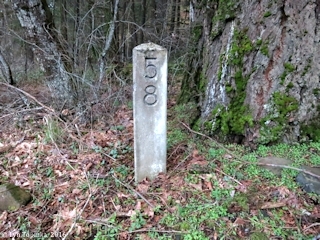 It can be seen from a short walk west along the State Trail. 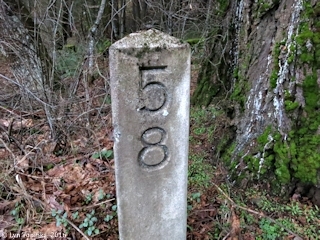 Click image to enlarge Milepost Marker 58, located along the Historic Columbia River Highway State Trail heading west from Viento, Oregon. Image taken February 24, 2016. "Ferry service between Bridal Veil and Viento, near Hood River, which has been provided to carry motorists around the snow and ice blockade on the Columbia river highway, has been discontinued, according to the Oregon tourist and information bureau, which received a report to that effect from C.T. Smith of Stevenson, operator of the ferry. The ferry between Stevenson and Viento will continue, it was stated, the ferry making one roundtrip per day, leaving Stevenson at 8:30 A.M. and leaving Viento on the return at noon." Source: "Morning Oregonian", February 16, 1922, courtesy Historic Oregon Newspapers Archives, University of Oregon Libraries, 2018. "... The village of VIENTO (Sp., wind), is fittingly named, for the wind blows constantly and often violently through the gorge. Old-fashioned touring cars have sometimes lost their tops during the winter gales that sweep with terrific force over the highway. VIENTO STATE PARK, is an attractive wooded area that is popular as a picnic ground; through it runs scenic Viento Creek.". ..."
"... The village of VIENTO (Sp., wind), (103 alt., 14 pop. ), is fittingly named, for the wind blows constantly and often violently through the gorge. 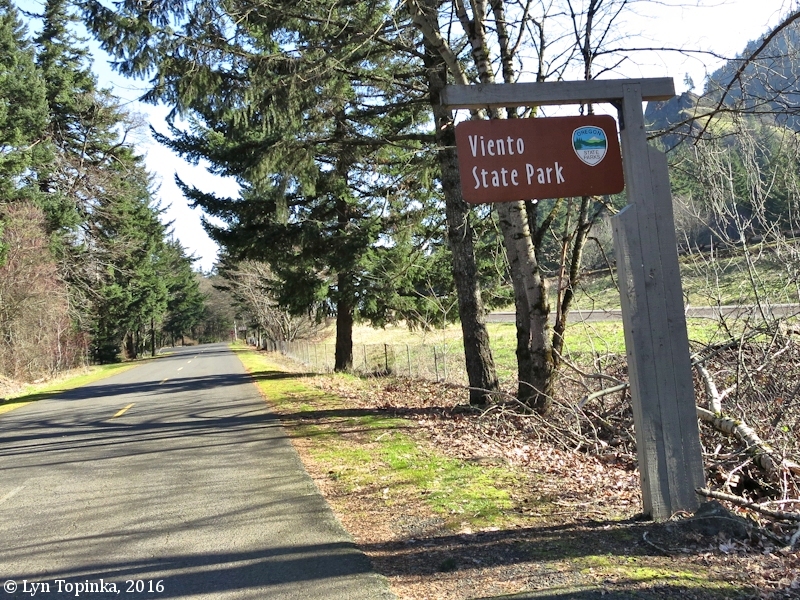 VIENTO STATE PARK is a wooded area that is popular as a picnic ground; through it runs scenic Viento Creek. 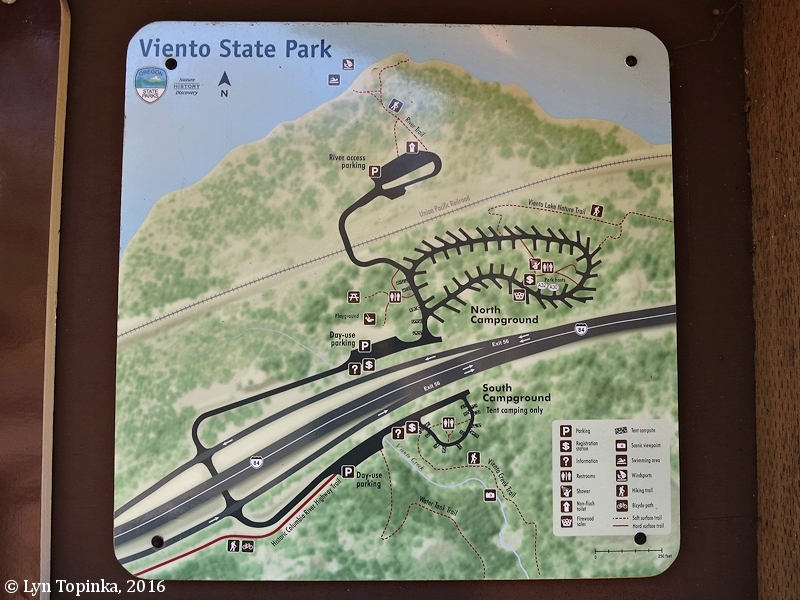 ..."
Viento State Park is located on both sides of Interstate Highway 80N, at mile post 54.36, approximately eight miles west of Hood River in Hood River County. The first land in this park was a 3.6-acre tract, purchased on May 13, 1925, from J. O. and Theresa D. Jones at a cost of $3,000. 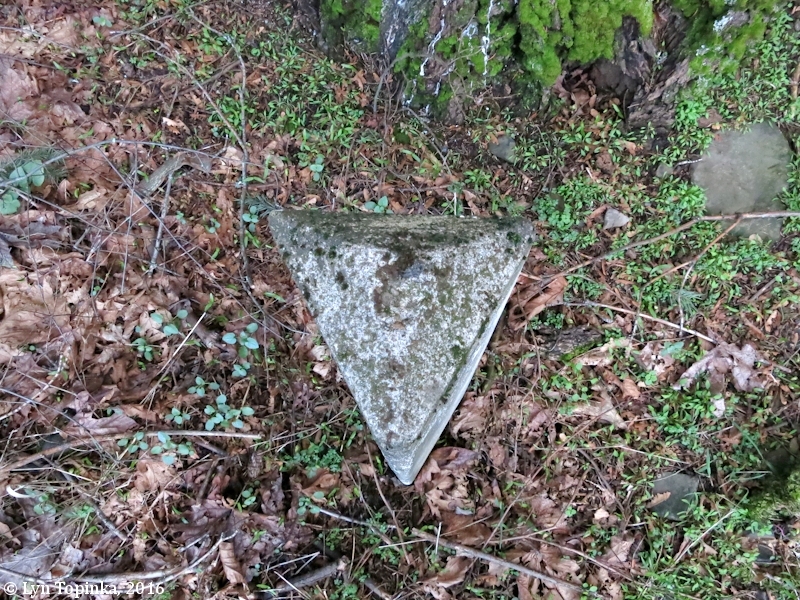 This sum was paid by the Pacific Telephone and Telegraph Company to make amends for damages by the company's clearing crews cutting trees in park areas. The next addition to the park was 25 years later when seven tracts, aggregating 240.23 acres, were purchased. The park contained a total of 243.83 acres at the close of 1963. 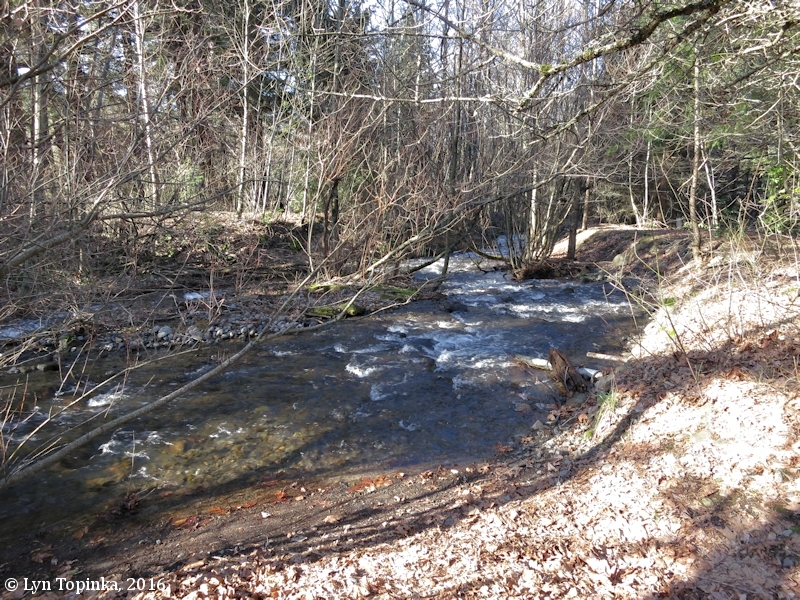 Acquisition of the area was to provide a resting place and picnic facilities for the motoring public in the cool, shady grove of young fir and maple trees growing along the banks of Viento Creek, a small, rippling, mountain stream flowing through the area. 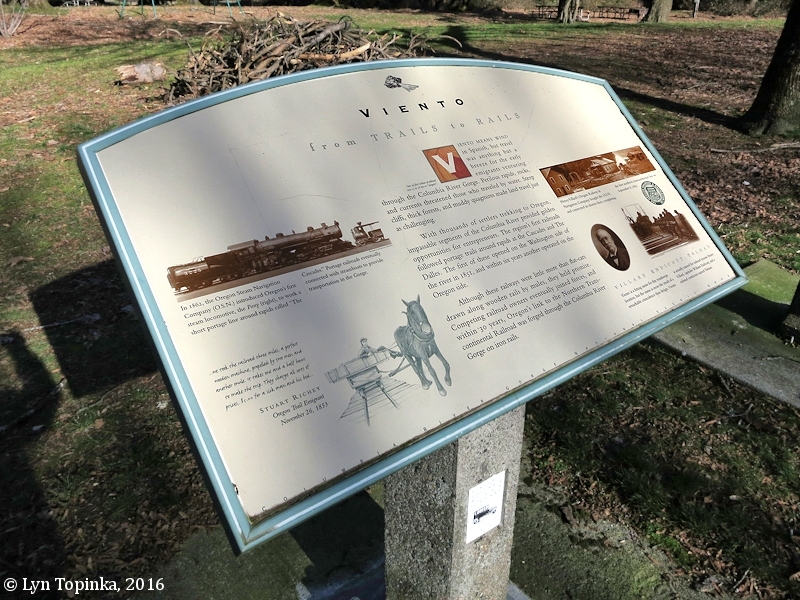 Viento park was named after the stream, which, no doubt, was named after a nearby railroad station. According to Lewis A. McArthur in Oregon Geographic Names, the name Viento was coined by taking the first two letters of the names Villard, Endicott and Tollman. 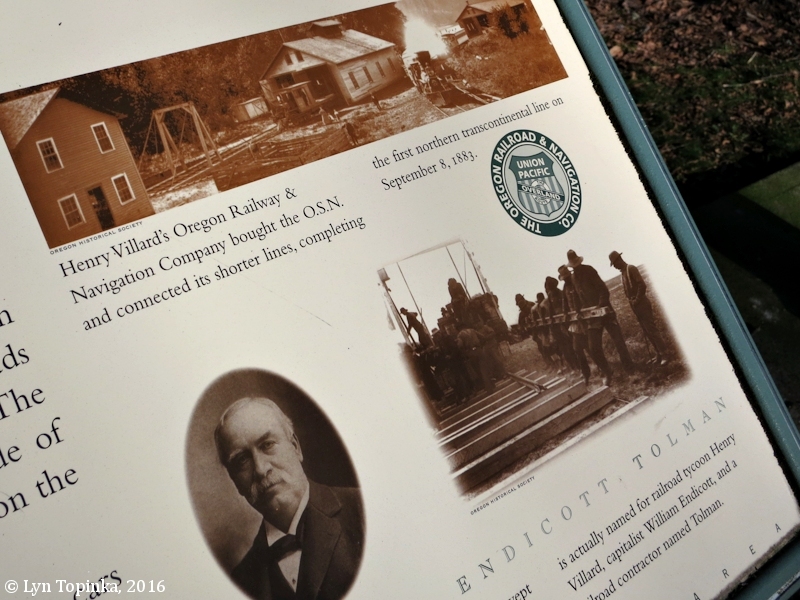 Endicott was a Boston capitalist who was heavily interested in Villard's railroad enterprise. Tollman was a railroad contractor. McArthur further states that Viento is also a Spanish word meaning wind, but the Spanish origin had nothing to do with the naming of the railroad station. The terrain north of the highway slopes gently toward the Columbia River. South of the highway the gradient rises steeply and becomes abrupt some distance back from the road. 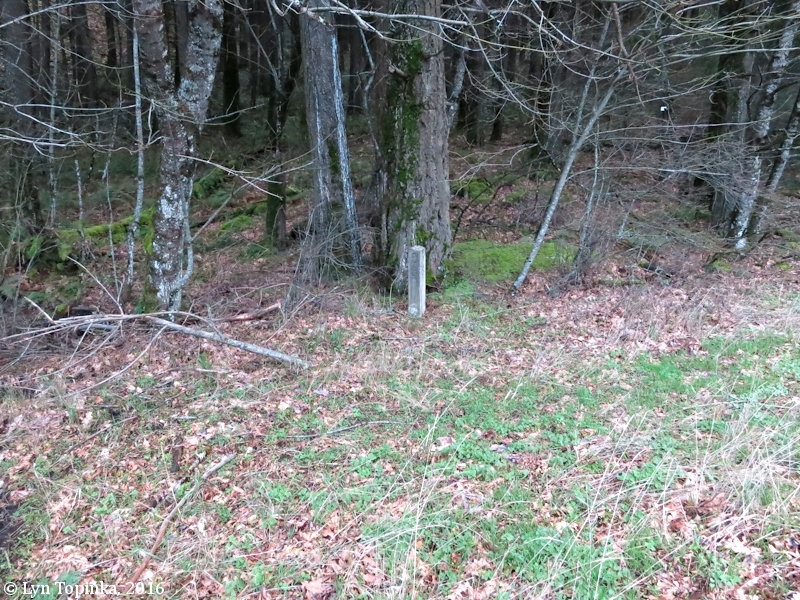 Tree cover is fir and maple with the usual native shrubs for undergrowth. The first developing done in the park was by the Civilian Conservation Corps. It included an entrance road, picnic tables, benches, stoves and water supply. They built a rustic foot bridge over Viento Creek and controlled menacing stream erosion. Sanitary facilities were constructed in 1927 and the drinking fountain with its grotesque face was erected by the parks crew. After the highway was revised, small overnight camps were constructed on both sides of the highway in order to accommodate travelers of the divided highway. The 45 overnight tent sites are equipped with the usual facilities, such as roads, car parking spots, tables, stoves, benches, water and sanitary facilities. 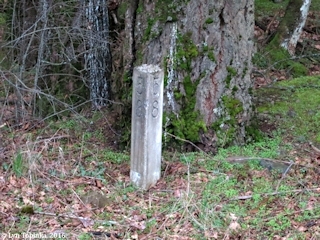 The stone drinking fountain is located at the picnic area north of the highway. A residence and a few cabins on the property when it was acquired are now being used as park headquarters. Park attendance during 1963 totaled 90,584 day visitors and 12,045 overnight stays." Viento State Park offers good views of Shellrock Mountain, Dog Mountain, the Dog Creek drainage, Cook Hill and Cook, Washington, and the Little White Salmon River bridge. 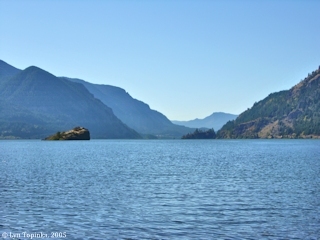 Click image to enlarge Columbia River, view downstream, as seen from Viento State Park, Oregon. Shellrock Mountain is on the left and Dog Mountain rises on the right. Image taken September 25, 2005. 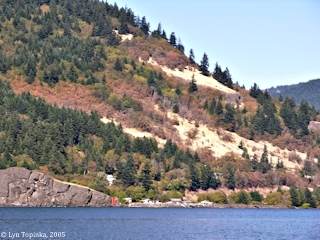 Click image to enlarge Dog Creek and Cook Hill, Washington, as seen from Viento State Park, Oregon. Image taken September 25, 2005. 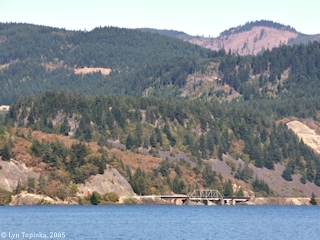 Click image to enlarge Little White Salmon River bridge, Washington, as seen from Viento State Park, Oregon. Shellrock Mountain is on the left and Dog Mountain rises on the right. Image taken September 25, 2005. The early 1900s was the "Golden Age of Postcards". The "Penny Postcard" became a popular way to send greetings to friends and family. Today the Penny Postcard has become an snapshot of history.